All the benefits of HTRF with ELISA plate ease of use and low volume wells for low sample consumption. 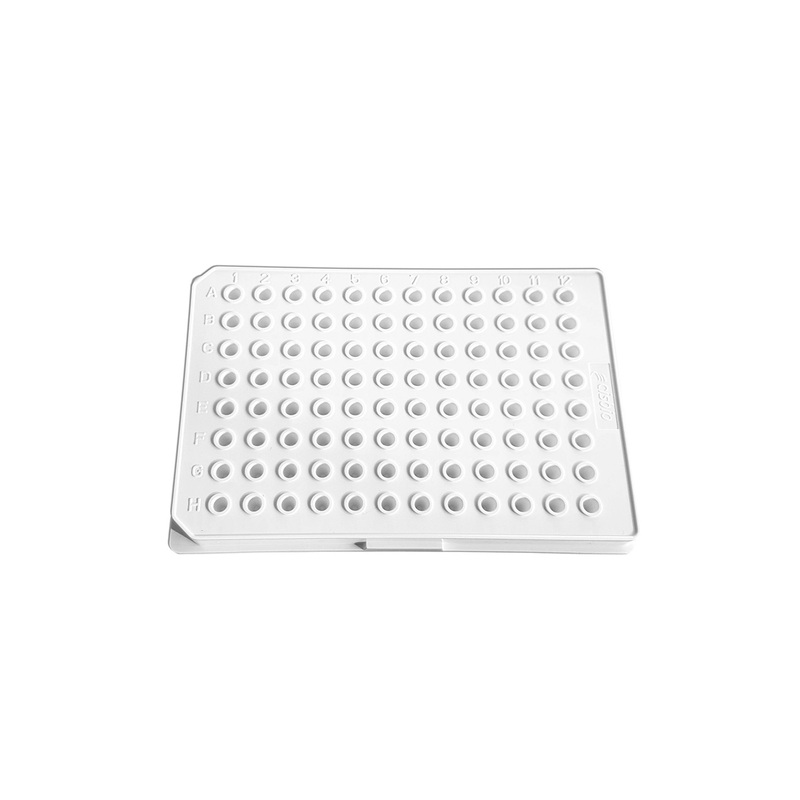 These 96w low volume plates can be used with all HTRF assays. These plates have been specifically designed by Cisbio as an alternative to 384-well lv plate for small sample series or simply to try HTRF in a convenient environment. Cisbio’s 96-well low volume plates can be used with all HTRF assays, for example second messengers, phospho-proteins, cytokines and biomarkers. They can be used in a no-transfer protocol with suspension cells or with a transfer step for adherent cells. These plates can be read on all HTRF certified readers, thus making their implementation in your experiments really easy. 5 µL of HEK293 cells expressing the ß2 adrenergic receptor were dispensed side-by-side in an HTRF 96-well low volume plate and in a 384-well low volume plate. Cells were stimulated for 45 min at 37°C with 5 µL of isoproterenol agonist, then 5 µL of cAMP-d2 and 5 µL of anti cAMP- cryptate from the HTRF cAMP Gs Dynamic kit were added. HTRF signal was recorded after a 1 hour incubation at RT. Cells were grown in a T175 flask at 37°C, 5% CO2 for 48 h. They were then stimulated with 50 nM EGF for 5 min. After medium removal, the cells were lysed with 3 mL of supplemented lysis buffer #1 for 30 min at RT. Soluble fractions were collected after 10 min centrifugation. Serial dilutions of the cell lysate were performed in the supplemented lysis buffer #1. 16 µL of each dilution were dispensed for side-by-side comparison in a 384-w low-volume plate and in the HTRF 96-w low-volume. 4 µL of HTRF advanced phospho-ERK (Thr202/204) detection reagents were then dispensed and the HTRF signal was recorded after a 4 H incubation at RT.